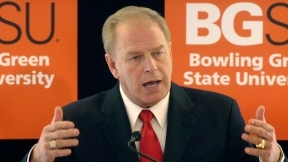 Starting in late July 2008, Governor Ted Strickland will host 12 "Conversations on Education Reform" throughout every region of Ohio. The conversations will focus on the seven principles for education reform the governor laid out in his state of the state address as well as specific policy ideas for making Ohio's schools among the best in the world. At each town hall meeting, Governor Strickland will give local citizens the opportunity to share their thoughts and ideas on creating a system of education that is innovative, personalized and linked to economic prosperity in Ohio. The meetings will be broadcast on local PBS stations and streamed live on the Web. Local citizens and educators not attending the event will gather for watch parties and discussions in response to the Governor's meetings.